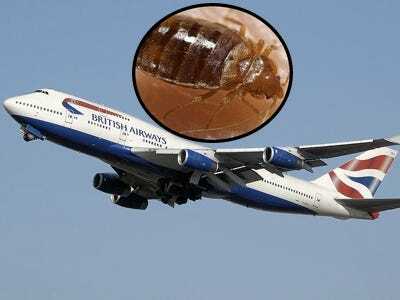 Last week we mentioned the story of Yahoo exec Zane Selkirk, who was devoured by bedbugs on a British Airways flight. Selkirk has devoted a website — BA Bites! — to telling her horror story. I was seated in 15K, in World Traveller Plus (aka Premium Economy). Shortly before take-off, I noticed a single bug scamper across the top of the seat in front of me. While I was vaguely curious about what it was, by the time I could lean over to investigate it had slipped over the headrest and into the (occupied) seat in front of me. I figured it was a (gross) anomaly. Roughly three hours into the flight, mid-way through a movie (BA does get credit for good in-flight entertainment options), I reached forward to adjust something on-screen. Just before tapping the option on the screen, I saw the silhouette of a very familiar bug crawling on my finger. Totally disgusted, I shook my hand off vigorously towards the window, which I immediately regretted because I had shaken also in the direction of my bag. My neighbour in the seat next to me gave me a funny look but minded his own business, while I told myself it must have been the same bug I’d seen earlier, and tried to relax. 30 minutes or so later, my brain was still stuck with the bug. I’m one to freak myself out in the dark, and with the cabin lights dimmed my imagination was running wild. I felt like I was seeing spots on the arms of my shirt and blanket over my lap, so to calm my nerves I decided to switch on the light over my seat. Unfortunately, my imagination had not been running wild. There was a familiarly-shaped bug in the middle of the blanket in my lap, running quickly away from the light. At this point my neighbour was fully involved, and helped me trap the bug inside the blanket. I’m not quite sure why, but he then disposed of the blanket by dumping it in the aisle. I figured it was far enough away from me, and hopefully had been squished somewhere along the way. While my adrenaline was now through the roof, I told myself that the one bug would certainly not come all the way back to “get me” at my seat, and tried once again to chill out. Not wanting to disturb my neighbour further, I waited until both my and his movies had ended to slide past him to pull myself together with a cup of water and a bathroom break. At some point in the lavatory I looked in the mirror. It took a minute to see that there were small bugs – much smaller and lighter in colour than the one on my blanket had been – crawling around on my white shirt. I took a somewhat more measured approach to their removal this time, pulling them off carefully one by one with paper towels. There were at least four live ones on my shirt, another two crushed on my shoulder, and a blood stain on the back of my shirt where I must have leaned back on a full-size (and full-stomached) one. When I came out of the bathroom I was so shaken up I wasn’t sure what to do. My neighbour was outside and could tell that something was wrong, and managed to get the story out of me. As I’m not one generally to complain, he had to encourage me to tell the flight attendant. I told the one-sentence version to the first BA person I saw, who told me to talk to the purser. The purser listened to my story, and showing no emotional reaction (nor apologizing in any way), followed me back to my seat. Back at our row he started looking around. There was nothing immediately obviously wrong, and I was already feeling a bit silly. After seeing nothing on the outside of the seat initially, he reached his hand beneath my headrest to see what he could find. When his hand reappeared, there were several squished bugs easily visible on it. He moved quickly to the front of the plane (disappearing behind a curtain), leaving me and my seatmate standing in the aisle, wondering what to do next. In a bit he returned, and immediately said to me in an accusatory tone, “why didn’t you tell me about this earlier?” Too shaky and dumbfounded to reply, I said nothing. A flashlight and some more flight attendants then showed up, although what more evidence they needed to get me and my seat mate outta there, I’m not quite sure. Over the next 10 minutes or so, there was one additional accusation lobbed my way along the lines of the first, and literally no other interaction with me or my neighbour – no positive support, friendly words, or offers of help (although the initial accusation was directed our way once again – as though this was all our fault). After being otherwise totally ignored while the flight attendants continued to pull apart our seats and collect samples, I finally asked if we could possibly have somewhere else to sit. He glanced around and saw two empty seats one row back along the other aisle, and nodded in their direction. Having learned by this time that the bugs may in fact follow me across an aisle, I asked if there was anything up front – Hoping both for comfort, as well as at least minimal peace of mind that I’d be somewhat farther away from the centre of the action. We were told in no uncertain terms that the purser would get in BIG trouble if he allowed us to move up, and that that would be completely impossible. (No apology.) At this point my neighbour stepped in, raising his voice (which I couldn’t make myself muster), and said loudly “we spent $1300 on these seats and…” and that was all it took. “Please sir, lower your voice” (yes, that’s actually what he said first – still no apology,) “let me see what I can do.” Given that there were only a handful of seats occupied in the entire business cabin – the rest being empty – they ‘somehow’ managed to squeeze us in. The powers of irony were in full force in our new seats: After sitting for a long time in somewhat of a daze while my adrenaline slowly drained back to normal, I decided to try the entertainment system again to distract me. The calming imagery chosen by British Airways for the loading screen? Bugs. Crawling around. No joke. The rest of the flight was quite comfortable. The flight attendant who was writing down the information in the official report was incredibly nice and very apologetic. She was understanding and friendly, although as nice as she was, was certainly more concerned about us than for us. We overheard a conversation with what sounded like the cockpit, where the flight attendant reassured that we were “cool” and wouldn’t be too much trouble. We were offered a leftover bottle of champagne to take with us after the flight, and were assured that they would do the best to upgrade the remainder of our respective itineraries. My next flight was in fact upgraded, which I was incredibly grateful for. The rest of my itinerary was not. Until a bit later, it was only a fear of mine that the bugs crawling on me and infesting my headrest and seat were actually bedbugs. 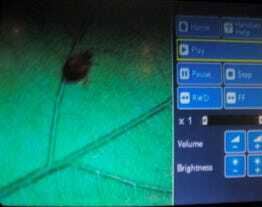 After a friend pulled up some pictures on his phone of bedbugs during our layover, I was quite sure that that, in fact, was what they had been. The story does not end quite there, or quite so well. And so we find ourselves faced with flight 2. FYI: After my first flight I had put my exposed clothes through the laundry, inspected my non-launderable items, and also checked my hotel closet and sheets carefully each evening for bugs (and eggs). The jeans and belt I wore on this flight I had worn on other days and evenings during the week between flights without issue. Same goes for the shoes. It is certainly possible, although in my mind a little far-fetched, to think that not only had I not seen a single bug all week despite cleaning and searching each day, but that they also waited to come out and bite me until I was back on a BA plane again. But hey, you never know! During the week between flights I had about ~7 conversations with BA reps (via phone calls and in the BLR airport), and I was assured over and over that nobody had the authority to help customers. Oh, unless you write a snail-mail letter. A particularly memorable moment on the phone was when a manager told me that the representative I had just spoken with (who had told me they would add a note to my reservation about our conversation), had lied to me – because, in fact, they are unable to help in any way. Frustrated and content to fly home and never use BA again, I boarded the plane from Bangalore. Once again, I managed to end up in 15K! I am pretty confident that it was a different plane. (The interior of the cabin was worn out in different ways. On this trip I did learn that British Airways must rank last for cabin cleanliness, not just for bugs. Their cabins were just plain dirty.) As I sat down next to my boss, he politely asked me if I’d like him to check my seat, and started to pull at the seat cushion. I (less politely) spat back something along the lines of NO WAY. I pulled my scarf over my head and neck and joked about it being a “cootie protector” and tried to settle in for the flight. The flight itself was entirely uneventful, and I actually managed to sleep a bit. I had shifted over to lie on my right side, with my arm beneath my body and hand under my head, with my legs draped over the right armrest. I could tell that my shirt had ridden up a little bit in the back but couldn’t do much about it, so I draped a blanket loosely over my body and dozed on and off for much of the flight. As I walked out of the plane my shoulder bag was rubbing against my lower back and for some reason it was intensely itchy. It got so bad that I actually stopped walking – halting the flow of foot traffic on the jetbridge – to pull the back of my shirt up to see what was going on. 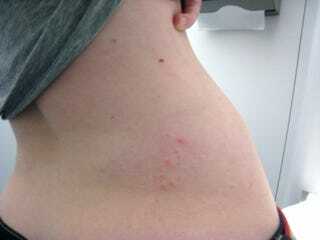 For some reason I was actually surprised to see a mass of fiery red bumps on the side of my back. I started walking again, and then stopped to get a better look because I couldn’t actually believe what I’d seen. I was so repulsed on my second viewing that I actually spun around and showed my boss as well (probably inappropriate, but I wasn’t thinking entirely clearly at that point). I was right near the British Airways Galleries Lounge, so I walked over and started telling my story to the women at the front desk. A few seconds in I lost it, and through some tears and a quick flash of the skin on my back, their eyes went very, very wide and they ushered me over to the Customer Service desk. At that point I was incredibly relieved that they seemed to care. Upon arrival at the “Customer Service” desk, that sentiment evaporated quickly. The woman behind that desk had absolutely no interest in helping me. She was extremely curt, and through her plastic smile told me that there was no proof that anything had actually taken place on British Airways, and that if I had a problem I was welcome submit it via snail mail or fax for review at a later date! Clearly, that would not help my own sanity on the next flight, nor that of the thousands of passengers travelling on the same plane in the days before and after I had. I was of sound enough mind to ask to speak with the manager on duty, and meanwhile called my go-to help-with-airline-customer-service consultant (otherwise known as my father) and asked for advice. We decided that my extreme frustration at this point came down to two things: 1. I really wanted somebody to be empathetic and sympathetic, and acknowledge what had happened to me, and 2. I was still driving for an upgrade for the last leg of my journey. It’s interesting for me now to look back on this and think about being so focused on getting an upgrade – but mostly that was really it. I wanted to feel like *anybody* at the airline cared even a tiny bit about me as a customer. Getting upgraded would be some acknowledgment by the airline of wrong-doing and an attempt to make things right. Being a OneWorld Sapphire member, I was even more outraged and distressed at the complete lack of concern for their customers’ well-being. The manager eventually came over and, not surprisingly, he was unable to help. He used the same words as literally every single other service representative of BA had: “I don’t have the authority to help you.” (Is that in the Customer Service training manual?) When asked point blank who at BA does have the authority to help customers, (I asked in specifically those words,) once again I was directed to postal mail. The manager showed no interest in the fact that yet another of British Airways’ planes was likely infested with bedbugs, and instead of shutting me up with even so much as an acknowledgment of the situation or even a simple apology, I was reminded over and over that he had no authority to help me in any way. Several times during this exchange I turned around and pulled my shirt up. Let me be very, very clear: There was nothing indecent here. 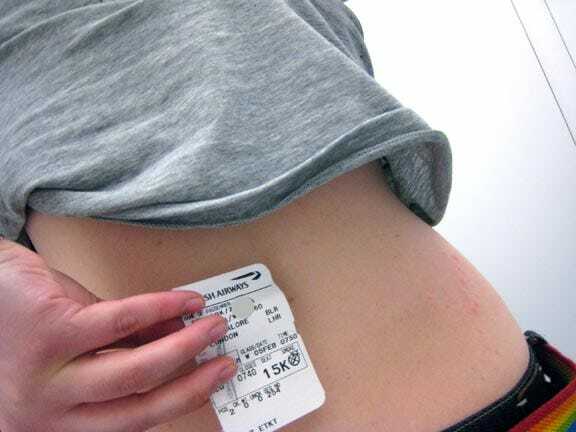 I was exposing a patch of skin on my lower back, above the line of my pants. Each time BOTH representatives spun around to try to look away and said to me, literally, “I cannot acknowledge that I have seen any issue here.” I was told by them that if and when I wrote a letter, an investigation would be conducted so if there were any records of me having complained on the aeroplane, I might be compensated. When I explained once again that I did not notice the bites until I was already in the process of walking off the aircraft, and was therefore without any kind of witness to the situation on board, they reminded me that I had no proof that anything had actually occurred on their airline. Given this response over and over, it is more than clear to me that they had in fact seen the bites (or they could have easily said “sorry, I can’t see anything”), but were afraid of acknowledging BA’s involvement with what was clearly a legitimate problem. I literally then said to them, “so then I ask you to please, not as representatives of BA, but as human beings, acknowledge that my back is covered in some kind of insect bites or rash so if there is any kind of investigation somebody besides me has seen this for the sake of whatever investigation ensues”, and they simply said no. I repeated this a few times, a few different ways, because I was so floored: “As human beings, you cannot acknowledge that my back is covered in red spots?” “No.” “I know that you can see the fact that my back is covered in bites.” “We cannot acknowledge this situation.” As a response to my last attempt, the male representative said, “as a male, that would simply be inappropriate.” So I turned to the female rep, and she just repeated one of her earlier responses. That’s just about the end of this tale… I took some pictures following that interaction in the lounge bathroom in hopes of creating my own kind of witness, I guess. Why I didn’t video the whole thing with the representatives is beyond me now. 20/20 hindsight. To be clear, I neither looked for nor found any bugs during this leg of my journey. All I can be sure of is that when I got on the plane my skin was clear of bites. When I got off, I had 90. This could have been a rash I guess, although the patterns and locations of the red, itchy bumps would indicate bugs of some sort. All but a handful of the bites are on the right side of my body, which was the side that had been in contact with the seat for the greatest portion of the flight. Here’s a brief note about a follow-up with American Airlines – A story related to this one, but with a much happier ending.